So it's halfway through March and we've been able to stick to our not buying anything new commitment. There have definitely been some challenges so far. One being gifts. I am not a re-gifter. Sometimes I save things people give me that don't quite suit me thinking that I will give them to someone else, but I can never bear to do it. I like choosing a gift for someone that is special and I think they will love. 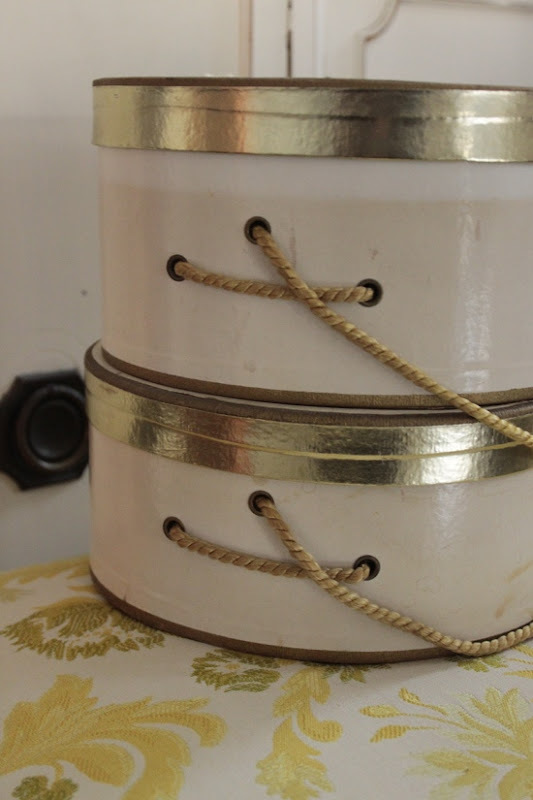 This year, the gift theme has of course been VINTAGE! My dear friend and Salvage Life model, Katie, is getting married...YEAH! She had a couples shower and I gave her a 1960's wedding album that had never been used. I forgot to take pictures of it, but she loved it. Then for the ladies shower, I gave her two beautiful vintage slips which I am not showing you here because those are for her husband's eyes only. 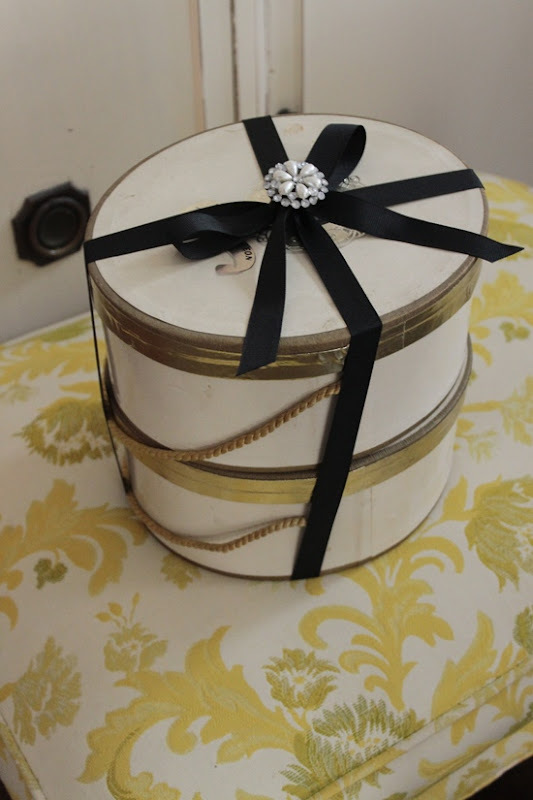 :) I wrapped them in these pretty boxes I had been saving with some vintage ribbon and a sparkly brooch on top. It was a lovely tea party and I think she liked the gift!